Britten's The Fanfare for St Edmundsbury was written for the Pageant of Magna Carta held at Bury St Edmunds Cathedral in 1959. Four Sea Interludes are four of the six intervals that occur between scenes in Britten's powerful opera Peter Grimes. The Four Sea Interludes are the closest thing imaginable to a postcard from Aldeburgh. In this concert “Dawn” and “Sunday Morning” are interleaved with Three Seaside Postcards. “Dawn” is grey and bleak: high violins and flutes in unison suggest a huge sky, arpeggios on harp, clarinet and violas gently rippling waves, and low brass underneath them both are like a heavy swell. “Sunday Morning” is time for church, and Britten implies the sound of bells in the tolling horn chords and syncopated chiming of the woodwind. This is contrasted with a smooth tune on the strings – like a hymn tune on the church harmonium. Three Seaside Postcards was written by Jonathan Dove for Large Children’s Choir and Symphony Orchestra. The first postcard is like a journey. It begins with dreamy calmness, drifting down the river. The waves start to lap, then bigger waves roll and the sea becomes quite rough before we return to the calm river. A feeling of loss and sadness permeates the second postcard. Things brighten a little but then the seas become troubled, and the postcard ends elegiacally. The final postcard celebrates seaside fun. A Sea Symphony, Vaughan Williams' first and longest symphony, written between 1903 and 1909, was first performed at the Leeds Festival in 1910, with the composer conducting. It is one of the first symphonies in which a choir is used throughout the work and is an integral part of the musical texture: the text of A Sea Symphony comes from Walt Whitman's Leaves of Grass. A Sea Symphony helped set the stage for a new era of symphonic and choral music in Britain during the first half of the 20th century. Future Concerts Please click on this link for details of future concerts. 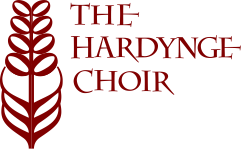 Concert Venues Please click on this link for address details of our concert venues, in and around Harpenden and St Albans. You will also find a link to a map for each venue. Previous Concerts Please click on this link for details of previous concerts.